The iconic new wave band - who comprise of Simon Le Bon, Nick Rhodes, John Taylor and Roger Taylor - had argued that under US copyright laws, they were entitled to call for a reversion of the restrictions after 35 years. Following the court's verdict, Nick said: "We are shocked that English contract law is being used to overturn artists' rights in another territory." Hits such as 'Girls on Film', 'Rio' and 'A View to a Kill' - the theme song to the 1985 James Bond film of the same name - were among the tracks being disputed in the court. Duran Duran wanted to terminate the grant to Gloucester Place Music Ltd, which is part of EMI Music Publishing, of US copyrights for their first three albums, 'Duran Duran', 'Rio' and 'Seven and the Ragged Tiger'. But their claim was thrown out by the court, with lawyers for Gloucester Place Music Ltd successfully arguing their case. In a statement, Gloucester Place Music Ltd - a Sony-owned firm - said: "EMI has nothing but the highest respect and admiration for Duran Duran and their great songs. "This has not been about seeking to challenge the US laws on copyright terminations, but simply a contractual issue in the jurisdiction of the UK courts to clarify the parties' rights on various songs." 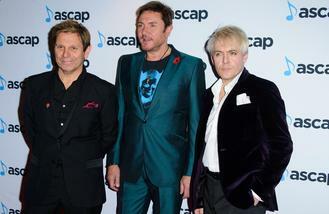 Simon, on the other hand, admitted the case had left the group "with a bitter taste". He said: "I know that other artists in similar positions will be as outraged and saddened as we are." Nick also expressed his disappointment with the court's decision. He said: "We signed a publishing agreement as unsuspecting teenagers, over three decades ago, when just starting out and when we knew no better. "Today, we are told that language in that agreement allows our long-time publishers, Sony/ATV, to override our statutory rights under US law. "This gives wealthy publishing companies carte blanche to take advantage of the songwriters who built their fortune over many years, and strips songwriters of their right to rebalance this reward. "If left untested, this judgment sets a very bad precedent for all songwriters of our era."